TS PGECET 2018 is state level Common Entrance Test of Telangana State conducted by University College of Engineering, Osmania University on behalf of TSCHE a statutory Body of the Government of Telangana., Hyderabad, for admission into the regular PG courses in Engineering, Technology, Architecture, Graduate level Pharm-D. TS PGECET 2018 online applications will be available from 2nd week of March 2018 tentatively. b) AP/TS Online Centres:List of Centers will be given in Official Website State and District-wise. 1) TS PGECET 2018 Application Form will be completely online. 5) A candidate can apply for more than one paper, by paying separate fee for each test/paper. 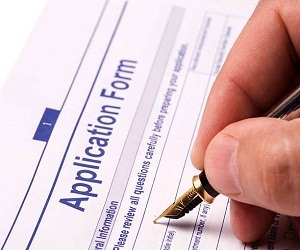 6) Fill the application form referring to the given model application form. Once application submitted, it cannot be modified/edited. 7) If there is any correction required in the data, contact the TS PGECET office or send an e-mail to the info@tspgecet.org or contact 040-27097124. 8) Pay the application fees according to the no. of papers candidate is attempting, in any of the mode mentioned above. 9) Candidate receives an SMS to his/her registered mobile number on successful submission of application, so mobile number is mandatory. 10) GATE/GPAT qualified candidates will have separate application forms for admissions. 1) Visit the official website of TS PGECET 2018. 3) Before filling the application form fee must be paid through AP/TS online centre or through Credit/Debit Card. i) Candidate must visit the nearest AP/TS Online centre and pay the fees. iii) Once the fee is paid, candidate must receive the receipt from the AP/TS Online Centre with his own responsibility. iv) Visit the official website and select the tab “Paid through AP/TS Online”, enter details of payment receipt like transaction id and others before filling the application form. v) Once all the requisite details are entered click “Proceed”to fill the application form. 4) Provide the detailed and authentic information like personal details, academic details like candidate name, father’s name, mobile number, SSC hall ticket number, Date of birth, year of passing SSC, qualifying degree, paper code appearing in TS PGECET, family annual income, category, local area status, address for correspondence etc. 5) Upload the good quality scanned images of photograph: less than 40KB in JPEG format and signature: less than 30KB in JPEG format. 6) Submit the application form, candidate get the preview of the application form.